The LG G7 Plus ThinQ is finally here. The LG G7 Plus ThinQ is an upgraded version of the G7 ThinQ. The successor to last year’s G6, the LG G7 Plus ThinQ is powered by Qualcomm Snapdragon 845 chipset and it comes with 6GB of RAM. The phone packs 128GB of internal storage that can be expanded up to 2000GB via a microSD card. As far as the cameras are concerned, the LG G7 Plus ThinQ packs a 16-megapixel primary camera on the rear and an 8-megapixel front camera for selfies. The G7 Plus ThinQ features a glass design on the front and back and polished metal rims on the sides. LG says the phone is “MIL-STD 810G” rated by the US military. The LG G7 Plus ThinQ runs Android 8.0 and is powered by a 3000mAh. It measures 153.20 x 71.90 x 7.90 (height x width x thickness) and weighs 162.00 grams. The LG G7 Plus ThinQ is a dual sim smartphone. Connectivity options include Wi-Fi, GPS, Bluetooth, NFC and FM. Sensors on the phone include Compass/ Magnetometer, Proximity sensor, Accelerometer, Ambient light sensor and Gyroscope. The LG G7 Plus ThinQ was just launched in India and it carries a price of Rs. 39990 in the country (it will be sold as a Flipkart exclusive). 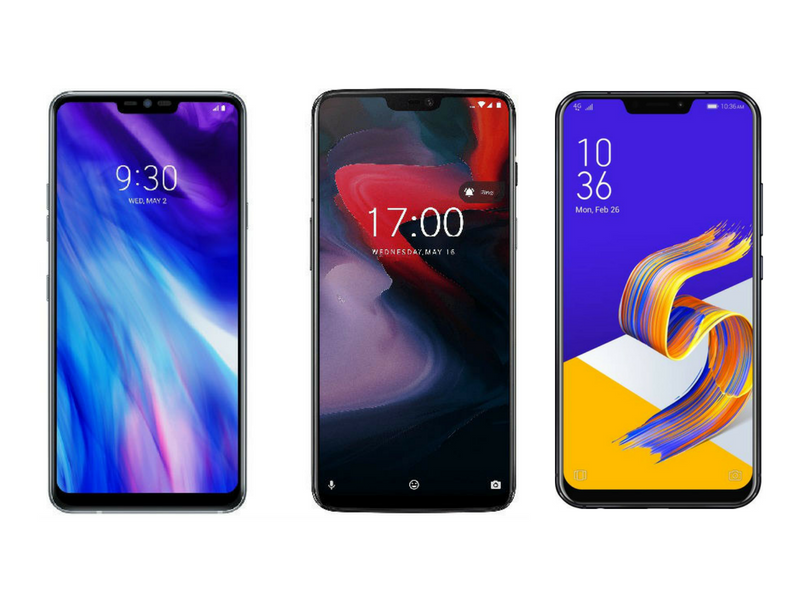 At this price, the LG G7 Plus ThinQ faces competition from OnePlus 6 and the Asus Zenfone 5Z. It was always expected that this flagship was going to be more expensive than the OnePlus 6 and the ASUS Zenfone 5Z, but surprisingly, the difference is not that much. The OnePlus 6 starts at Rs. 34999, while the Zenfone 5Z starts at Rs. 29999.